Part of our fleet on the flight line at Meadows Field (Bakersfield airport). Photo by Lt Hollerbach. Maj DeFord. Photo by Capt Sullivan. 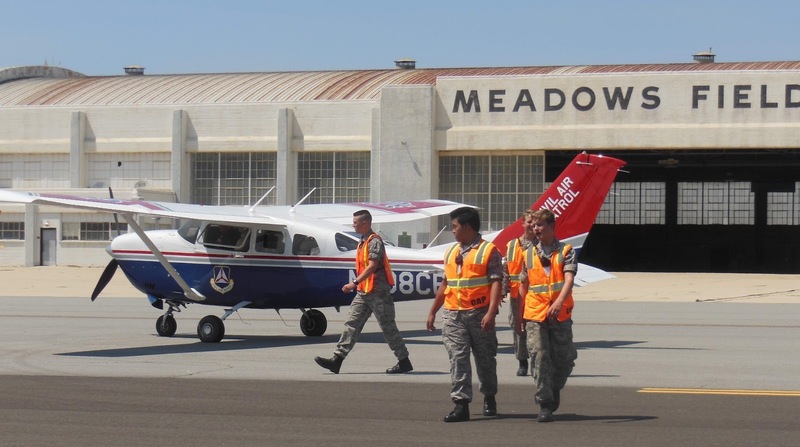 The California Wing (CAWG) held its annual Mission Aircrew School (MAS) on 21-23 July at Meadows Field in Bakersfield. 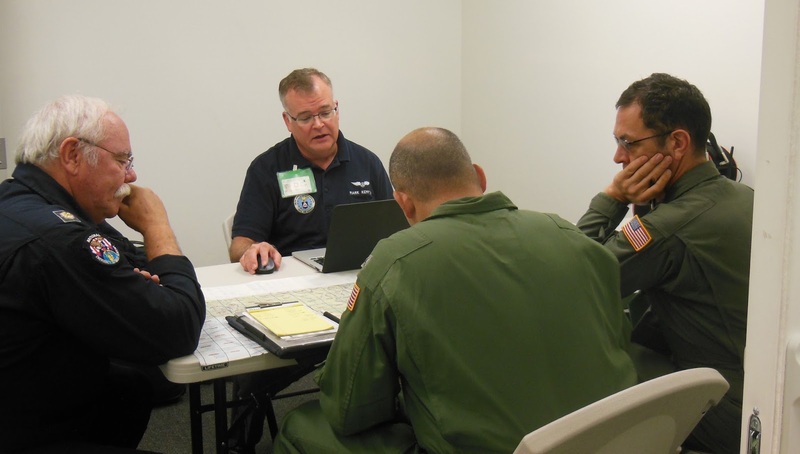 This training weekend was the flight portion of the MAS, following earlier ground school portions held in both Northern California (click here for more information on the ground school held at OAK airport earlier in July) and Southern California. Maj Kuykendall at general briefing. 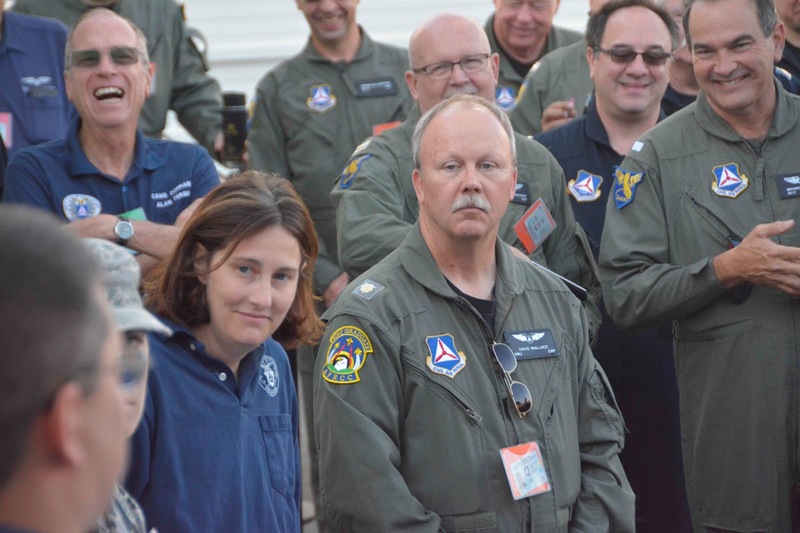 Approximately 75 CAP members participated, as well as 18 out of CAWG’s 30 total aircraft. 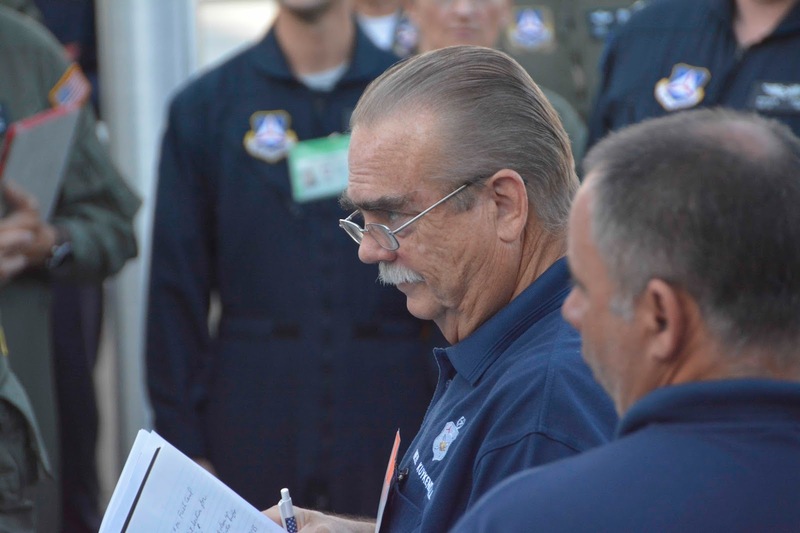 The year 2017 marks the first time in which California Wing conducted this school at Bakersfield. 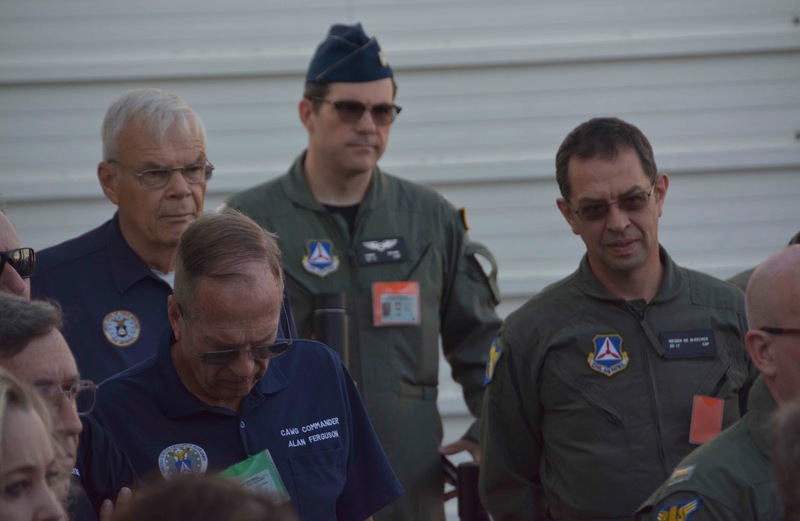 Many thanks to the Bakersfield Composite Squadron 121 for hosting us and providing outstanding support, facilities, and hospitality. We did it! Proud participants of the 2017 CAWG MAS. Photo by Capt Sullivan. One of the daily general briefings. Photo by Lt Hollerbach. 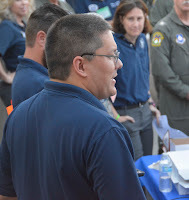 I got to be the “pre-event Public Information Officer (PIO)”. 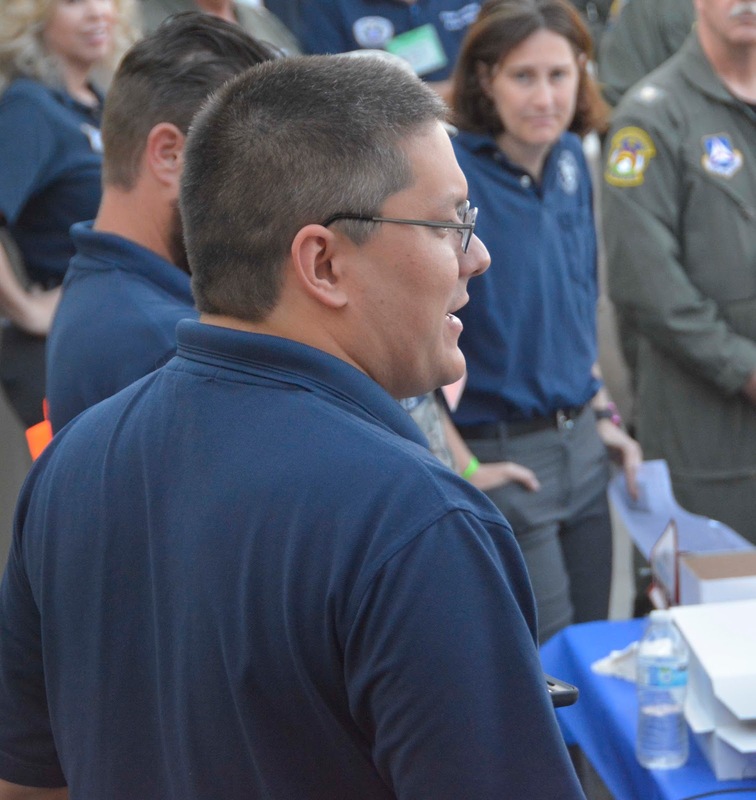 There’s no such title, really, but I was the PIO before the event and invited several news media outlets to come visit during the exercise, at which point I handed off that responsibility to Lt Col Wetzel, who served as PIO throughout the weekend. Happily, 2 of the local TV stations (KGET TV-17 and KBAK-CBS 29) sent camera crews and did a fine job of covering the event! You can see the article and video from KGET by clicking here. 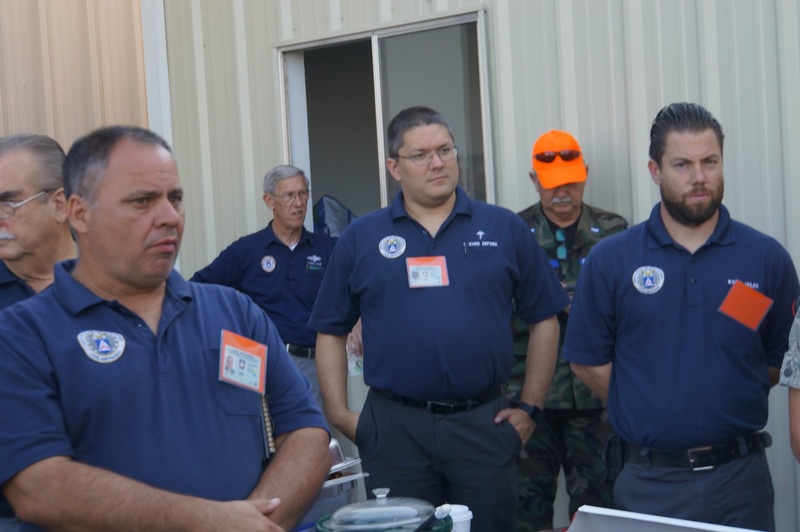 Base staff providing one of the daily general briefings. Another reason I had fun was that there was a last minute Mission Pilot Trainee (MP-T) slot available, and I was able go as MP-T. I had, in fact, just about a week prior to that completed the MP-T program at the National Emergency Services Academy (NESA) in Indiana (more on that in a separate post). Of course it was fun to go flying again – and it was also nice to compare my experiences at both. Sharing a laugh in the AOBD's office: from L to R, Capt Brown, Lt Baldwin, Capt Wheeler, Maj Johnson/C. 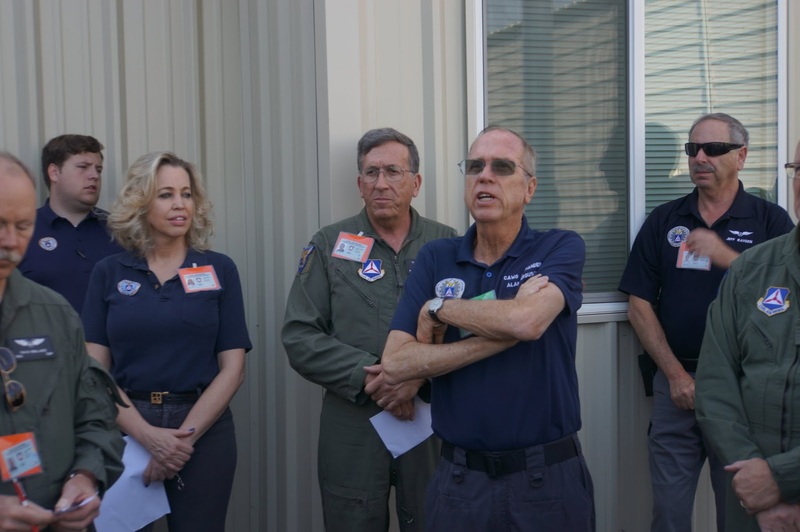 I can say that there was some fantastic training going on at both versions of the MAS – and, as a proud CAP member within CAWG – that our training standards here in California very much meet the standards set by National. Well done, everyone who organized and implemented the MAS training! 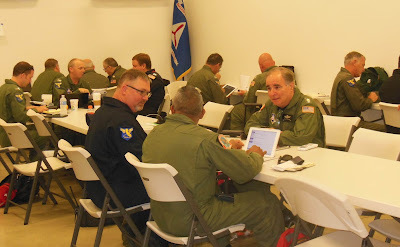 Aircrew planning a sortie. Photo by Capt Sullivan. with their MP Mentor, Maj Christian (R). Descending en masse on the friendly reception staff at the hotel where most of us stayed. Photo by Lt Hollerbach. speaking at the general briefing. Photo by Lt Roudnev. 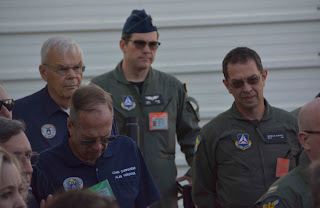 Thanks to Maj Luneau, who was originally going to do so, I got to fly one of our planes from LVK to BFL, transporting not only myself and the plane (which was needed for the sorties at BFL) but also Maj Luneau and Lt Baldwin to the event. We had fun playing with the GX55 (old) GPS system, while I flew south more via pilotage and dead reckoning than anything else. Yep, it’s nice to know those techniques still work. We also completed our first training task along the way: performing a route search, from PXN to AVE.
and Capt Wheeler. Photo by Lt Roudnev. 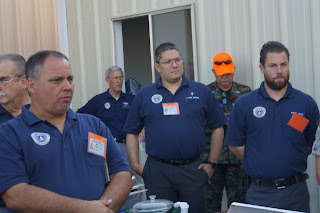 Staff members at general briefing. Bakersfield was hot! Density altitude calculations were important. But the flying was great. As part of the curriculum, we practiced various electronic and visual search patterns, including creeping line, parallel, sector, and other techniques. general briefing! Photo by Capt Sullivan. One nice thing about California was that we had terrain! 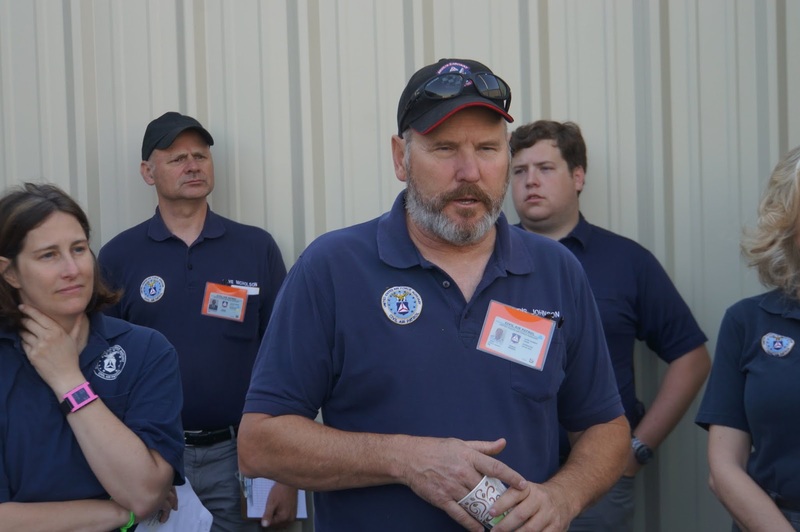 That meant that, unlike at NESA in much flatter Indiana, we were able to also practice contour searches, along steeply rising terrain, a.k.a. mountains. and Maj Dineen (R). Photo by Lt Hollerbach. 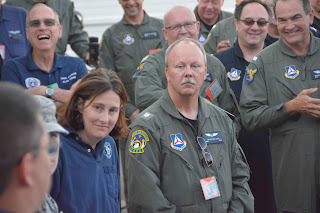 Part of the enjoyment for me, besides learning / practicing new techniques and flying in an area I was totally unfamiliar with, was meeting people from other squadrons, including my mentor pilot, Maj Dineen, and my MO-T, 1st Lt Saak. 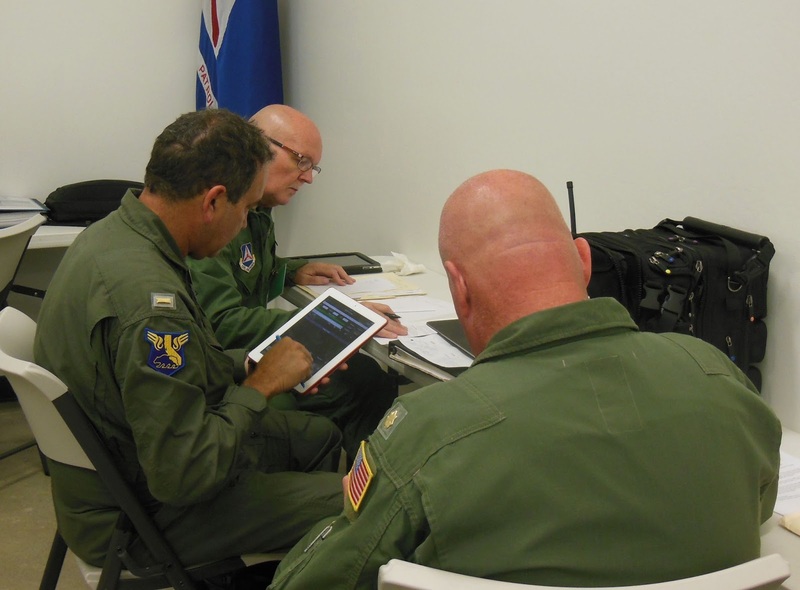 Since aircrews stayed together for all sorties throughout the training, we got to work together well by the end of the weekend. Marshallers working the flight line. On the ground, I didn’t have much contact with the Ground Team trainees, but I did really appreciate those members, mostly cadets from the hosting squadron, that practiced their marshaling skills when all of our aircraft came back “home”, safely guiding us to the correct parking spot – fortunately, I remembered my marshaling signals well enough to know what they wanted me to do at each step! Thank you, cadets and senior members, for keeping everyone safe while taxiing and shutting down. Staff members and air crew at general briefing. their sortie. Photo by Capt Sullivan. 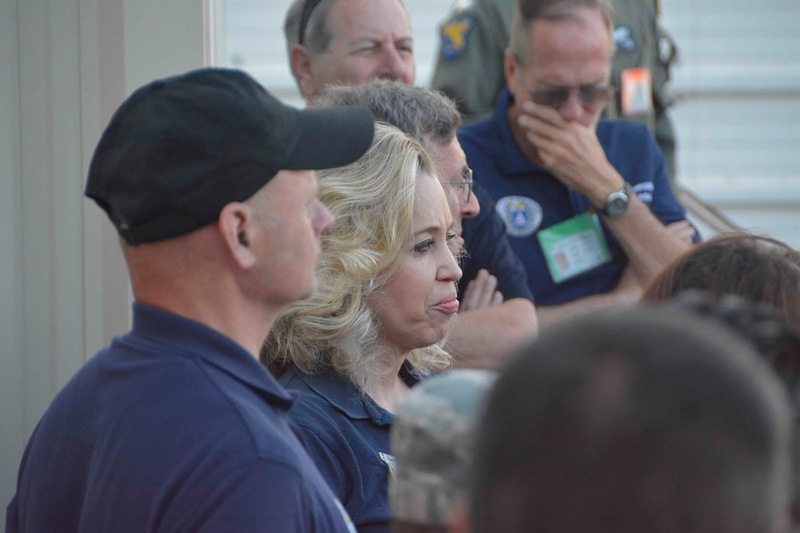 Finally, a big thank you to the very welcoming and helpful air traffic controllers at Bakersfield airport! All in all, this was a fantastic event. I would encourage any California-based CAP members interested in furthering their aircrew training - or, for that matter, their base staff or ground training - to consider attending and/or helping to organize next year's MAS!